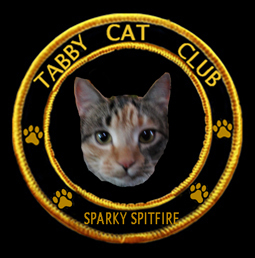 Sparky Spitfire is a Cat o’ Mystery, Super Sleuth, Action Heroine, Historian, Raconteur, and Mole-Muncher. Rescued from a cage on the front porch of a Certified Crazy Cat Lady, Sparky makes sure she is never going to be stuck inside again. With a specialization in More or Less True Historical Cat Trivia, Sparky solves ordinary backyard mysteries and international intrique in the DC region. Just as long as the back door is open. Sparky lives wif a bunch of humans who, while nice enough, have an obnoxious obsession wif picking up our daring heroine. Also that evil, evil woman with the door-shutting fetish, Mrs. Whatsername, who, thanks to her useful typing skills, has not been killed. not yet, anyway. srsly indeed. i’m not sure it can even be done, so i stopped trying long ago. good luck wif that tho and let me know if you ever figure anything out. 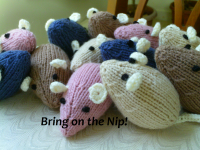 thanks for stopping by my bloggie and come again!